I love old movies (with a special soft spot for silents), and I love to play What If… So, let us play, shall we? Bess Meredyth did not think so. She wrote the adaptation – straying from Preston Peabody to add a duel scene, expand one of the female roles, and play down the little matter of Marlowe’s atheism – and kept knocking at doors, until the project got the green light in late 1928. John Gilbert was the first choice for the lead, but when he declined, Douglas Fairbanks stepped in to claim the role for his young, and comparatively untried, son. This meant taking a chance or two, because though a sort of UA crown prince, young Doug was really young for to play Kit Marlowe, and just stepping out of supporting roles. Still, he seemed to be a promising star on the making, so someone must have thought: why not? 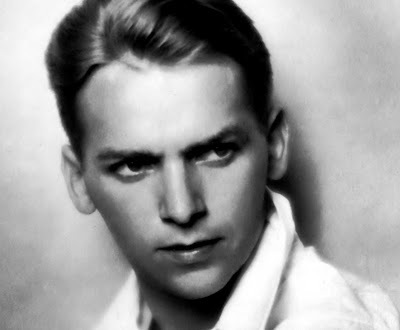 And so, “Marlowe” it was – with director Allan Dwan* (of Robin Hood fame) at the helm. The plot is simple enough: in 1589 London, star playwright Kit Marlowe is enjoying the triumph of his latest play, Doctor Faustus. While making merry with fellow-poet Robin Greene (Harry Gording) at the Bee-Hive Inn, he meets sweet Alison Barnby (Marguerite La Motte), fresh from Canterbury, and ready to be swept off her feet by the charming poet. Unfortunately, Alison comes equipped with not one, but two suitors: amiable Kentish man Gabriel (John Garrick), and sullen Londoner Richard Bame (Basil Rathbone), and neither is best pleased. In fact, they might spare themselves some anguish: for one thing, Kit is busy with an unnamed Court lady (Dorothy Revier), and then, as he takes pains to explain to Gabriel, he loves Alison “in the way one loves the evening star” – from afar, and only in the spirit of the purest admiration. If Gabriel is appeased, the bitter Bame is not. When in the end Alison gently rebuffs him, it is for kind-hearted Gabriel’s sake, but Bame lays the blame at Marlowe’s door – and, after being spared by the poet in a clumsy attempt at a duel, vows dire revenge. Fast forward three years – and we learn that Kit hasn’t fared too well for himself. Too outspoken in his dangerous opinions (though just what these opinions are is never explained), he has lost the favour of the Court and leading companies – not to mention Her Ladyship. Now she is bent on teaching him a lesson, and has found the perfect tool: Richard Bame who, it seems, has spent the last three years eavesdropping on Marlowe, and keeping a list of every pernicious and rash notion he voiced – the sort of words that bring one to the scaffold. On learning that sweet Alison is married to Gabriel, Bame is distraught that he “did it all for nothing”, but not enough to relent towards Marlowe – whom he still blames. It hardly helps matters that an embittered Kit sets out for Canterbury, both to escape his London enemies, and to see Alison again. Off to Canterbury, on a fine summer night. Gabriel goes out to meet Bame, come to warn him against Marlowe – who, of course, arrives the moment Alison is alone. The two share a nice talk, and Kit, who had come to steal a kiss, goes away without it, but much moved by the girl’s understanding and compassion. And back to Deptford he slogs, all brooding and maudlin and despairing of himself – again followed by the half-crazed Bame. Between the two of them, they manage to pick a quarrel with a perfect stranger who, in the ensuing brawl, stabs Kit. Gabriel arrives just in time to hear his dying words – the name of Alison, his evening star. Still, Meredyth manages to preserve the intensity of Kit Marlowe’s character, and young Fairbanks makes a very decent job of it, with an engaging mix of boyishness, fiery arrogance, quirky humour and gloom. Marguerite La Motte, as the young and innocent Alison, certainly looks the part – although she plays it a tad on the dizzy side. 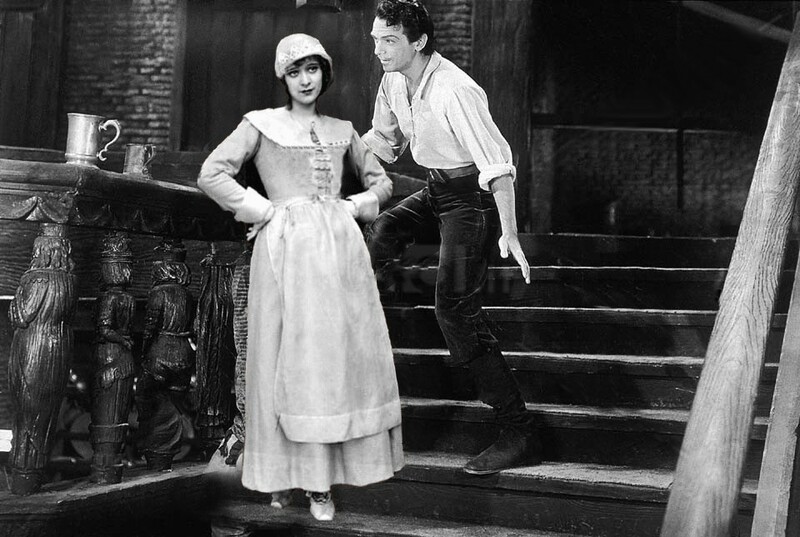 Dorothy Revier, gorgeously attired as Her Ladyship, darts sultry look after sultry look, and John Garrick is suitably earnest as the good-hearted young lover. My favourites, though, have to be Basil Rathbone’s sullen and resentful Bame (actually Baines – he of the famous “Note”), slowly descending into near-madness, and Harry Gording’s lusty and British-accented Robin Greene. Yes: British-accented. 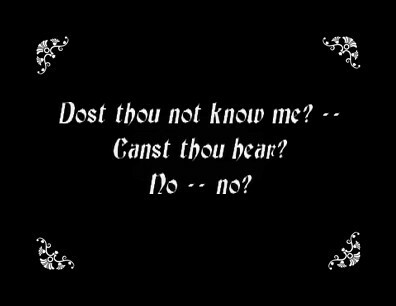 “Marlowe” was originally conceived as a part-talkie, one of those hybrid things that appeared in the 1927-1929 interregnum between silents and talkies. Through various vicissitudes, only one sound sequence survives, and it is of Gording merrily singing to Hugo Riesenfeld’s music, and the laughter of his fellow poets. Interestingly for history buffs like myself, Preston Peabody’s play predates Leslie Hotson’s discovery of the papers for the inquest on Marlowe’s death, and so follows the then accepted tradition of a rivalry over a woman, with the more misspelled than mysterious Francis Archer as the murderer. By 1929, Hotson’s work was widely known, so Meredyth changed the name to that of the real murderer, Ingram Frizer. Is this film a masterpiece? Very likely not. The action is a bit static, the sets look almost like toy-theatre scenery, and the whole thing feels more than a bit like filmed theatre… And yet, because of this, and of the quaint blank-verse title cards, the film acquires a certain dream-like quality that is endearing, and sets off this highly idealized portrait of Kit Marlowe as a sort of silent, black-and white Elizabethan fantasy. Now, wouldn’t it be nice if they had really made it? 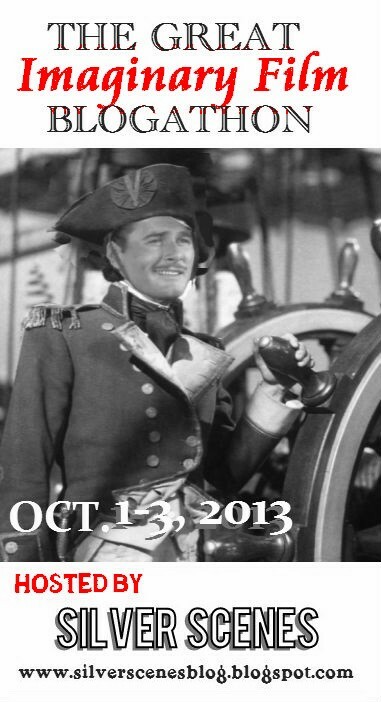 * Dwan would go on to direct part of the same crew (although with a different Fairbanks) in The Iron Mask later that year. 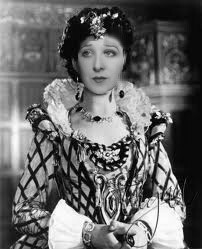 I can easily imagine planning my week around a TCM Silent Sunday screening of “Marlowe”. You made a most enticing film. 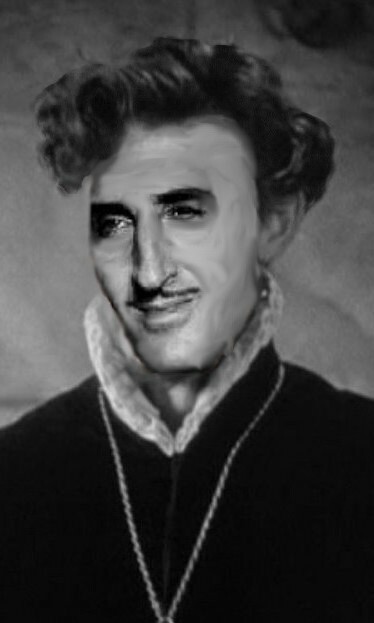 Oh, that Rathbone! Sounds like a great movie, and I love your cast choices! Wondeful! Isn’t Rathbone one of the greates villains of cinema history? I liked that you didn’t turn your film into a masterpiece, you said it has some flaws and I can see them. I’m not familiar with the play, but I can imagine the action. And I did read your contribution – wasn’t it the Mob Musical? Read it and loved it.